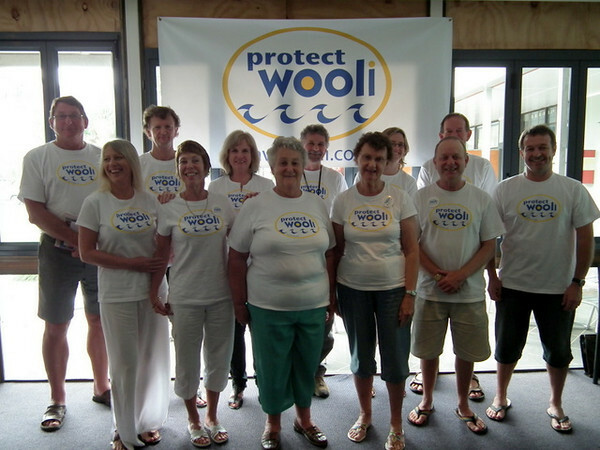 Following the council proposal of Planned Retreat, Wooli community formed the Coastal Communities Protection Alliance-Wooli, with the aim of working together to find a better solution and to liaise with fellow coastal communities under similar threat from inadequate government response to coastal erosion issues. CCPA-Wooli is an alliance committed to changing attitudes of all levels of government to coastal communities threatened erosion and degradation of beach environments. We believe that decisions on the future of our communties must recognise social, economic and environmental consequences and that they must be based on extensive, open-minded and ongoing community consultation and diligent, best-practice research and planning that includes options to abandonment of these communities. We believe that Wooli can be a test case of a community working towards well researched and intelligent adaptation to coastal erosion and climate change. CCPA’s main objectives are intended to capture these fundamental intentions. All of Wooli, both north and south, would be affected by CVC’s policy as population, land values, homes, businesses, services and tourist revenue from the southern end of Wooli would be a loss to the whole community. Communities up and down the NSW coast are being affected by the government’s policies on climate change. As a small village, we would have limited influence as an alliance, albeit a loose amalgamation of communities with individually different problems,we would have a louder voice and more likelihood of influencing these policies. We want to join with these communities to work with councils and government to come up with solutions to the problem. We have raised our voice in the media. Grafton Daily Examiner and Clarence Valley Review have published ongoing coverage of our campaign, and numerous regional radio and TV interviews have been aired. We believe this coverage was influential in the deferment of council’s decision on planned retreat. We have collected around 1500 petition signatures opposing planned retreat. To date, the petition has not been presented, but is a powerful potential weapon of persuasion. We have commissioned a preliminary study of Wooli beach processes from ASR, an international consultancy specialising in coastal erosion solutions. We have put together an impressive Position Paper which was presented to council and state government. We have put pressure on council to re-start the Dunecare program and this group is now actively engaged in dune regeneration. We have had meetings at state government level with Minister Robyn Parker. We were represented at the coastal erosion workshop at Ballina in November. We have established a dialogue with members of CVC staff and markedly improved the consultation level. We are in the process of starting research into beach processes in conjunction with CVC. We are putting pressure on CVC and state government to provide adequate funding for the first stages of this research. We have established and maintained links with other hotspots. These days a well-planned campaign which looks at many different aspects and involves a large number of people is required to convince councils and government to change their direction.